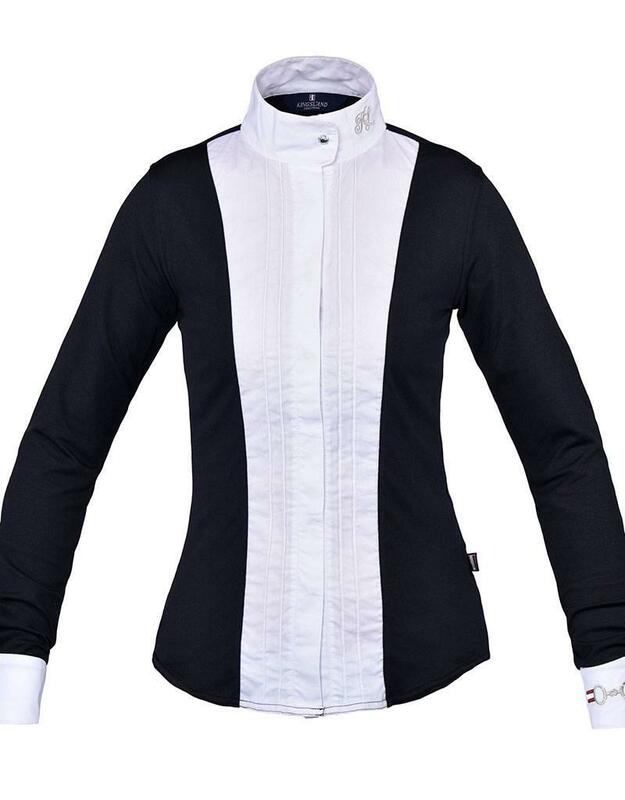 Functional ladies show shirt with long sleeves. Breathable quick dry fabric with great moisture management. Woven fabric in front, collar and cuffs. Pleated decoration in front and crystal buttons on sleeve cuffs and collar.